To help you get started with your aluminum extrusion design, the AEC website has a wealth of technical resources on aluminum extrusion. Not familiar with the aluminum extrusion process? Check out the Extrusion Design section on this website for more information. 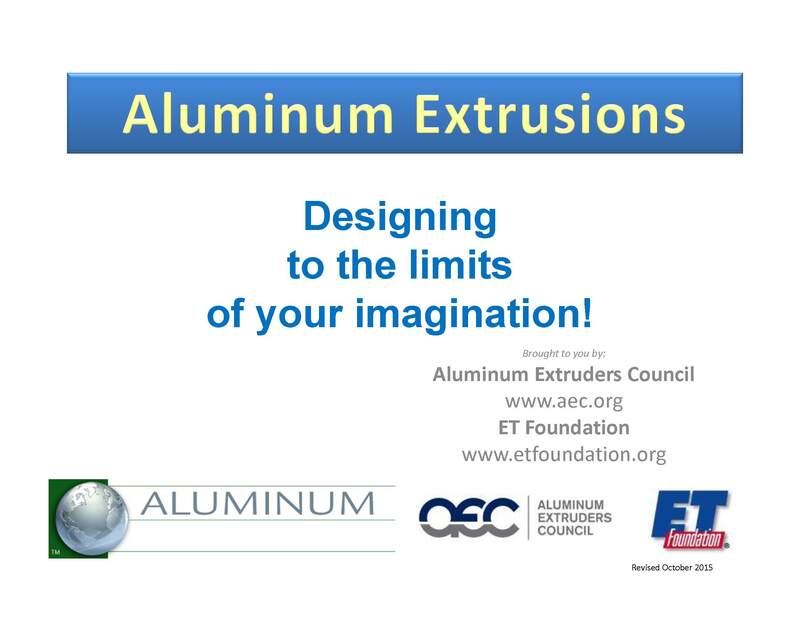 "Designing to the Limits of Your Imagination"
Download the educational presentation (PDF), “Designing to the Limits of Your Imagination”, to learn more about aluminum extrusion applications, design and processes. 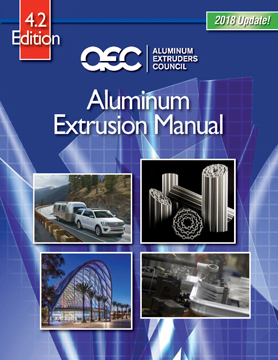 The AEC Aluminum Extrusion Manual is your one-stop resource for creating more effective products by using aluminum extrusions. 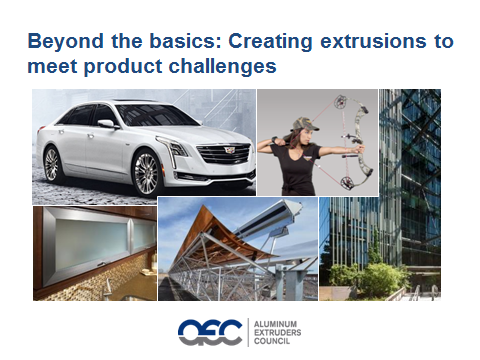 Visit the AEC YouTube channel for webinars available on-demand covering the attributes of aluminum and the aluminum extrusion process, as well as technical aspects of extrusion design, including alloy selection, part geometry, fabrication and more. Find us on YouTube under AECorg. Review past winning entries from the Aluminum Extrusion Design Competition (student and professional) for inspiration and thought starters for your aluminum extrusion design. 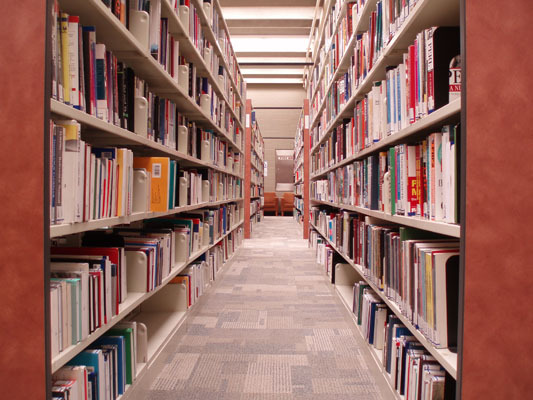 Check out the AEC Library. You'll find expanded information about the application features that appear on our home page, as well as white papers, FAQs on a range of extrusion-related topics, additional webinars presented by AEC, and much more. The Bonnell Aluminum Sustainable Design Challenge accepts entries that, in addition to the four basic ET Foundation Design Competition criteria, best addresses societal and/or environmental challenges or concerns. The ET Foundation is grateful to Bonnell Aluminum for their sponsorship of the 2019 Aluminum Extrusion Design Competition awards.